Paul Lawrence Babchishin was born Sept. 8, 1921, on the farm in the Tiny district to Michael and Frances (Kowalchuk) Babchishin. Paul was a man of abiding faith. He was a committed member of the Knights of Columbus and was honoured to serve as a Fourth-degree Grand Knight. In his busy life, he made time to contribute to the betterment of his community, serving on Kuroki Deanery, supporting community events, volunteer policing, and tending to the Sturgis St. Patrick’s cemetery and Rectory. He married his dear Nellie Peszko on October 8, 1949. They farmed near Tadmore and moved to Sturgis but they wanted to raise their children in the country. Paul and Nellie would drive up what was an old wagon trail west of Sturgis and dream of building a house on the hill overlooking the river. When the land became available, he cleared it himself and built a farm full of magical places for children – wonders such as lost valley, the family tree and witches’ forest. The kids would come up from the river with fish for dinner, sand in their clothes, clamshells for their collections and the occasional bloodsucker in their toes. That’s where Dad taught the boys to trap and fish. There were also hours of hard work and many hard lessons to be learned on the farm. Paul and Nellie grew grain and over the years they raised beef cattle, dairy cattle, horses, hogs, chickens, geese, turkeys and ducks. In addition to being a fulltime farmer and rancher, he provided for his family by working fulltime at Saskfor Lumber for 27 years. He was always happy to greet customers with a pencil behind his ear, ready to find them the perfect wood for their project. In retirement, he pursued his lifelong passion for horses by raising and racing thouroughbreds. He cherished his frequent trips with Nellie across the United States and Canada. Just short of 90 years of age, he realized his wish of taking an adventure North to Nunavut. Paul spent his last day of life on the farm that he loved, listening to the birds and looking out the window at the trees, with children, grandchildren and great-grandchildren all around. On that day, he met his two-month old great-grandson for the first time. 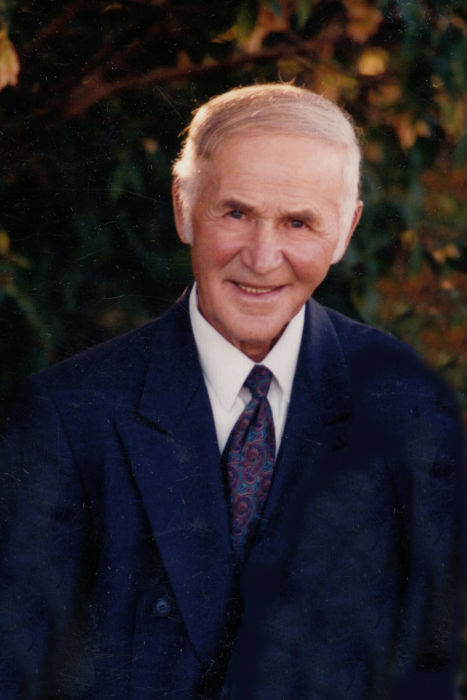 He was predeceased by his wife Nellie (Nadiya); his grandchildren Carla Gabel, Aaron Niedergesaess and Matthew Babchishin; sisters Michelena, Mary, Angella, Kate and Margaret; and brothers John, Thomas, Bill, Joe, Nick and Victor. He is survived by his six children Margaret, Gerald, Carl (Leslie), Thomas (Shirley), Donna (Michael) and Jacquie; 14 grandchildren, 26 great-grandchildren; brothers Wally and Pete; sisters-in-law Marge Peshko and Laverne Peshko; and many loving cousins, nieces and nephews across the country.